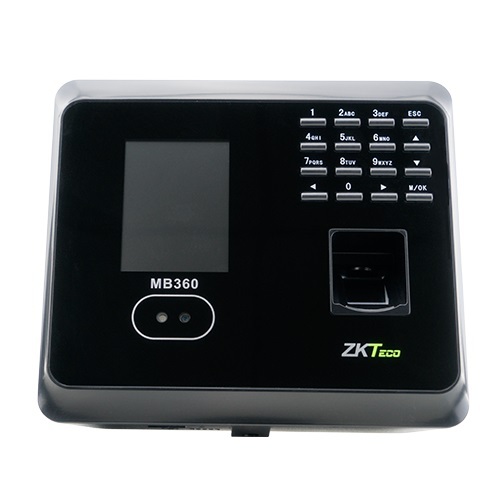 ZKTeco MB360 Fingerprint Time Attendance Terminal is an innovative product featured with ZK advanced fingerprint and face recognition technologies which has standard function like SMS, DTS, Scheduled-bell, Self Service Query, Automatic Status Switch, T9 Input, Photo ID, Camera, Multi-verification, 12V Output, RS232 Printer (Optional Cable). It supports multiple verification methods including face, fingerprint, card, password, combinations between them and basic access control functions. This Fingerprint Time Attendance Terminal has 3rd Party Electric Lock, Exit Button, Alarm.User verification is performed in less than 1 second, which streamlines the process of access. 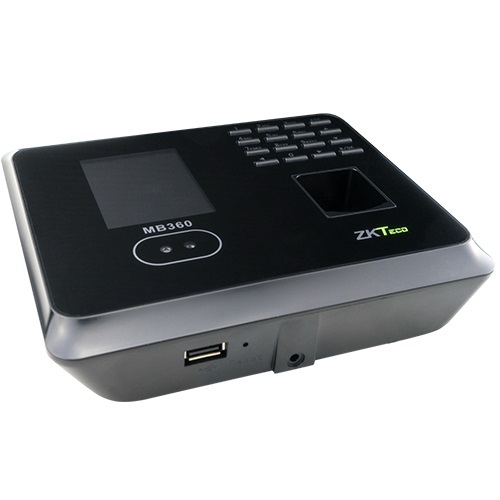 Others feature of this Fingerprint Time Attendance Terminal are Face Capacity: 1,500 ;Fingerprint Capacity: 2,000 ,ID Card Capacity: 2,000 , Record Capacity: 100,000 , Display: 2.8-inch TFT Screen .The dimension of this terminal is 167.5x148.8x32.2 mm (Length*Width*Thickness). 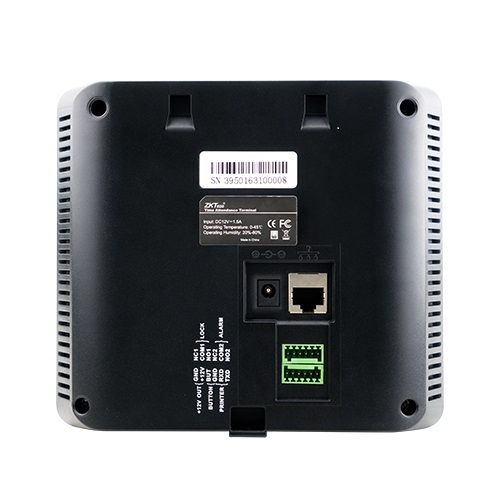 The communication between the MB360 and PC is by TCP / IP or USB interface for manual data transfer. Its sleek design fits perfectly in any environment.